Welcome to the 5th annual Best of the RRP Anthology — our way of taking a moment to reflect on the year, express gratitude and give thanks for taking this journey with us. It’s been an honor to share my conversations with so many extraordinary people over the course of 2017. Second listens brought new insights — and more reminders that that these evergreen exchanges continue to inspire and inform. For long-time listeners, this two-part episode is intended to launch you into 2018 with renewed vigor and intention. If you’re new to the show, my hope is that this anthology will stir you to peruse the back catalog and/or check out episodes you may have missed. Thank you for taking this journey with me. I appreciate you. I love you. Here’s to an extraordinary 2018. Join me, and let’s do this thing together. RRP #296: Dr. Neal Barnard, M.D. RRP #325: Cardiologist Dr. Kim Williams, M.D. Thanks to Jason Camiolo for production, audio engineering interstitial music and show notes. Thanks to Shawn Patterson for graphics and theme music by Ana Leimma. Check Out Our Year End Meal Planner Sale! 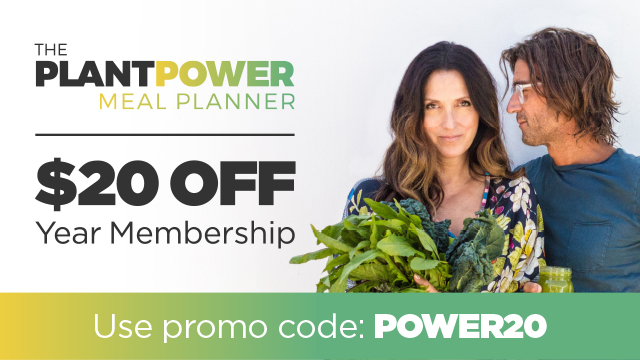 To support those seriously resolved to establish better nutrition habits in 2018, we are slashing prices on our Meal Planner annual membership fee by 20%! For just $80 (down from $100), you’ll be supported for an entire year with access to thousands of plant-based, personalized recipes, caring, expert food coaches who are available to connect 7 days a week, handy grocery lists and even grocery delivery in over 80 US markets. It’s an incredible deal that will only be available until midnight, January 6, 2018. It’s also something we are not likely to do again. So jump on it now by going to meals.richroll.com (or clicking on “Meal Planner” at the top of richroll.com) and using the promo code POWER20 checkout to get $20 off the annual membership fee.